Turkey: Israel playing with fire, burdening allies | It's Only Natural To Resist. Gül condemns Israels “very dangerous” move to build new settlements in joint conference with Abbas, Turkish media reports. Turkish President Abdullah Gül said on Tuesday Israel is “playing with fire” in its latest move to construct settlement units in Jerusalem and the West Bank, Turkish daily Today’s Zaman reported. Gül told a joint news conference held with his Palestinian counterpart, Palestinian Authority President Mahmoud Abbas, that Israel should be aware it is becoming more isolated in the international community and becoming a burden to its allies, putting them in a difficult situation, Today’s Zaman reported. Gül stated Israel should have come to the negotiating table in a “peaceful manner” following the upgraded status of Palestine by the United Nations to non-member observer state, but instead it announced new plans for settlements. Gül said Turkey strongly condemned the “very dangerous” settlement step to construct 3,000 housing units in the E1 corridor, connecting Ma’aleh Adumim to Jerusalem, adding that the move aims to separate Palestinians in the West Bank from those in Jerusalem. Britain, France and several other European countries summoned Israeli envoys last week to protest over the plan to build settlements in an area of the West Bank known as E1, and even Israel’s staunch European ally Germany voiced criticism. Construction in E1 (East one) could divide the West Bank and make the creation of a contiguous Palestinian state – as envisaged by the internationally backed two-state solution to the Arab-Israeli conflict – almost impossible. Settlement building on land Israel captured in the 1967 Middle East war is considered illegal by most world powers. Israeli officials said it could up to two years before any building begins in the designated zone east of Jerusalem. 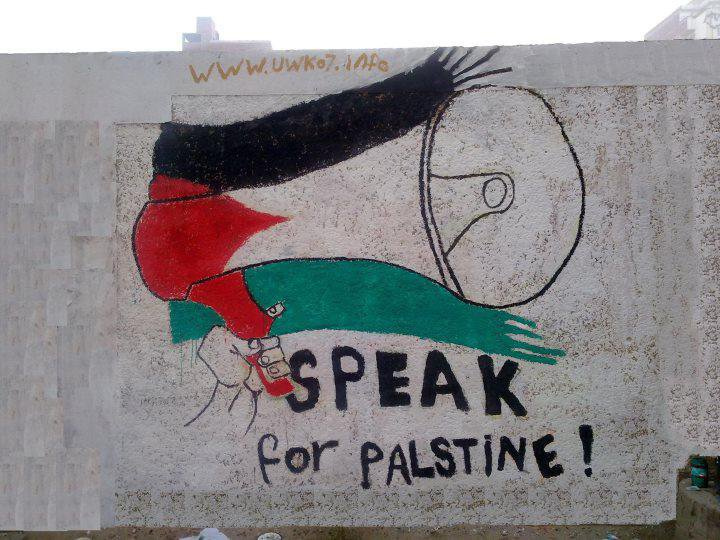 This entry was posted on December 11, 2012 by ispeak4palestine. It was filed under Articles on Palestine and was tagged with Israel, Middle East, Palestine, Politics, Turkey.